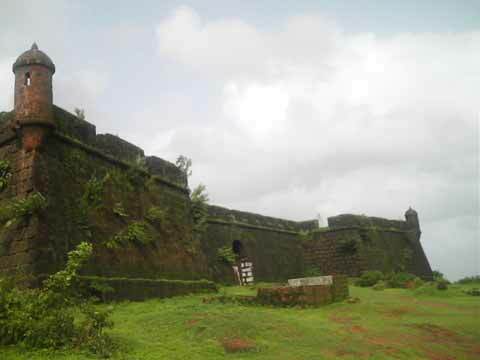 There are two entrances to the fort, one on the coastal side and the other facing the sea. The one facing the sea is the main entrance and is blocked with stones now. On the lower side of the frame of the doorway is a sculpture of tiger. On the left part of the door of is the sculpture of “Gandabherunda” (Also known as the Berunda, it is a two-headed mythological bird of Hindu mythology thought to possess magical strength) with four elephants in its claws. On the left side there is a carving which depicts 3 dogs holding each others’ neck in their jaws and each one holding two elephants in their legs, the elephants holding the tails of other ones with their trunks. This is a rare sculpture. We find Lord Hanuman on the ramparts in front of the door. There is a tank to collect water. 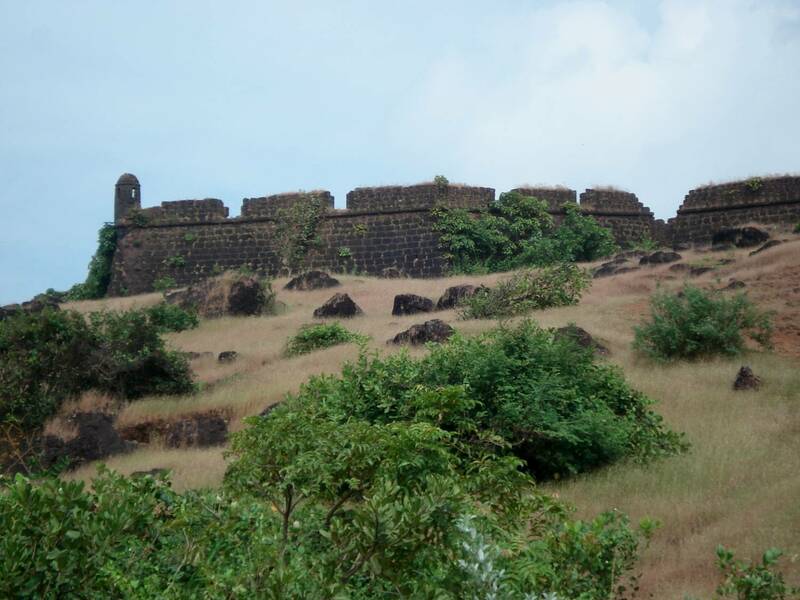 On the southern side of the fort is the citadel of the fort built on a natural elevation. One can roam on the ramparts by climbing up the stairs. 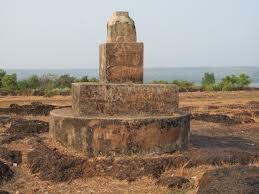 We can also find the remnants of the Collector’s rest house on the fort. 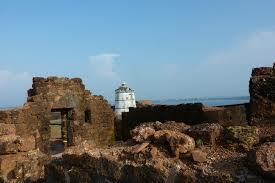 Records say that there were 19 soldiers and 69 canons on the fort in 1862. Khed is nearest railway station.